The infamous Negan is dressed in his prisoner outfit, with long hair and grown out beard. 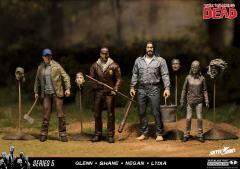 He features 22 points of articulation, his bat Lucille, a bucket, and a severed Ken head on a stake with a base. 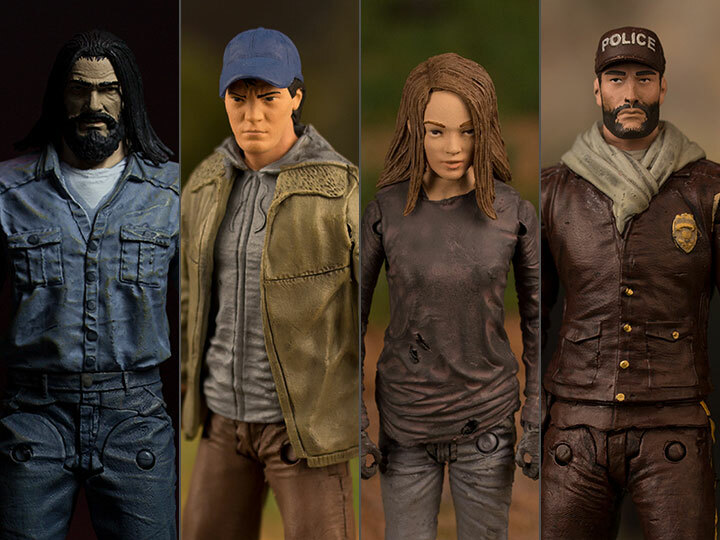 Fan-favorite Glenn is dressed in his classic outfit with a jacket and baseball cap. 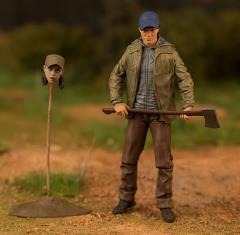 He features 22 points of articulation, an alternate head, an axe, and a severed Rosita head on a stake with a base. 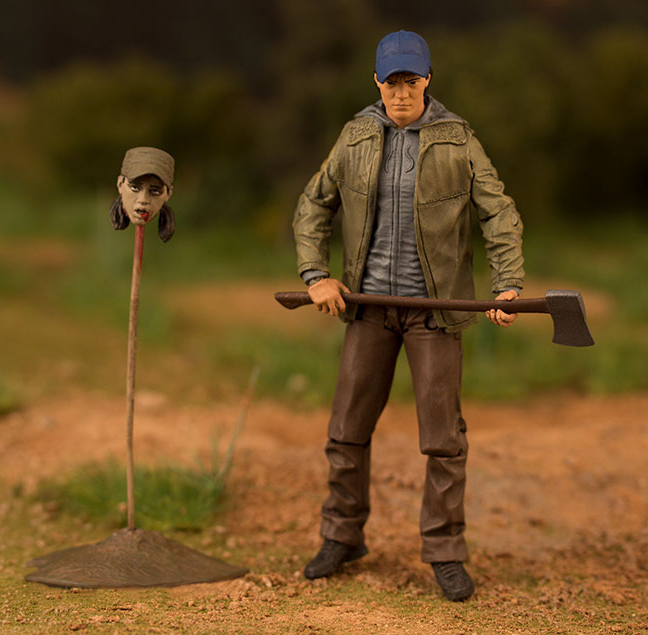 Lydia comes dressed in her walker hide, a key attire to the Whisperers. 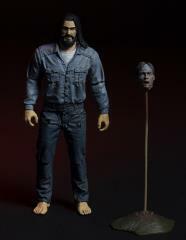 She features 22 points of articulation, an alternate walker hide head, a knife, and a severed Ezekiel head on a stake with a base. Shane is dressed in his police uniform and baseball cap. 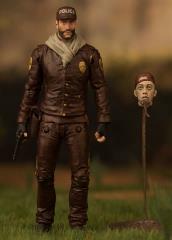 He features 22 points of articulation, an alternate zombie head, his signature shotgun, and a severed Oscar head on a stake with a base. 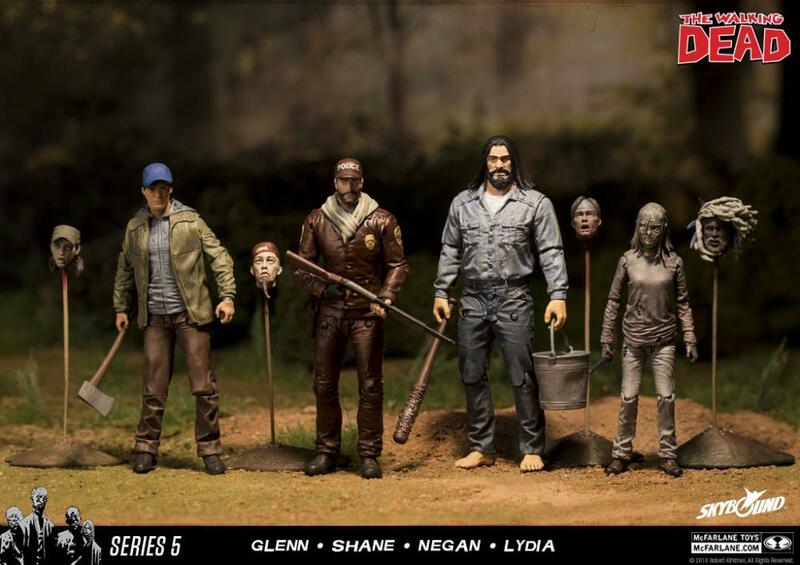 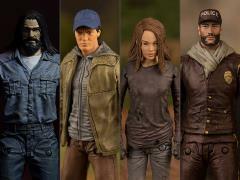 This set of 4 Walking Dead comic characters features Negan, Glenn, Lydia, and Shane as articulated figures with heads on stakes as homage to the series!